After the smoky-eye trend, it became difficult to get smudge-proof eyeliner. This does the trick! I wish it were just a little bit more brown than black, but otherwise, with the right brush, it\'s an excellent product! Chrystal has rated on date 02/02/19 as Easy to apply. Doesn't smudgeAfter the smoky-eye trend, it became difficult to get smudge-proof eyeliner. This does the trick! I wish it were just a little bit more brown than black, but otherwise, with the right brush, it\'s an excellent product! with 4.5star. After the smoky-eye trend, it became difficult to get smudge-proof eyeliner. This does the trick! I wish it were just a little bit more brown than black, but otherwise, with the right brush, it's an excellent product! MYOB has rated on date 12/19/18 as First timerGoes on easy, stays all day. Very smooth and easy to put on with the swish liner brush with 4.5star. I only gave it 3/5 for now b/c I havent worn it a whole day yet. But for trying it out I love how smooth it is and how easy it is to put on! Was this helpful to you 2 customer says yes and 6 says no. Natasha Smalls has rated on date 12/10/18 as NiceI only gave it 3/5 for now b/c I havent worn it a whole day yet. But for trying it out I love how smooth it is and how easy it is to put on! with 4.5star. I use this as a primer for my eye shadow. I\'m not sure that\'s what it\'s meant to be, but that\'s the way I use it and it\'s perfect! I\'ve used many other products from many other brands as a primer, but this is by far my favorite! It goes on smoothly, it doesn\'t dry out in the jar before it runs out, it makes the shadow \"stick\" and last all day, and it doesn\'t cake up. Even though it comes in a small little jar, it lasts forever. I wouldn\'t wear it as my only eye makeup because it would be too shiny for me--it looks \"wet\" without some powder over it--but if you\'re going for that look, this would be a good product to buy. As far as the color goes, it\'s very warm and it matches my yellow undertones well. Not sure how good this would look on someone with cool undertones. \nIn summary, as a primer, I love this product and totally recommend it to anyone with warm undertones in their skin color. Beth has rated on date 12/10/18 as Good stuff!I use this as a primer for my eye shadow. I\'m not sure that\'s what it\'s meant to be, but that\'s the way I use it and it\'s perfect! I\'ve used many other products from many other brands as a primer, but this is by far my favorite! It goes on smoothly, it doesn\'t dry out in the jar before it runs out, it makes the shadow \"stick\" and last all day, and it doesn\'t cake up. Even though it comes in a small little jar, it lasts forever. I wouldn\'t wear it as my only eye makeup because it would be too shiny for me--it looks \"wet\" without some powder over it--but if you\'re going for that look, this would be a good product to buy. As far as the color goes, it\'s very warm and it matches my yellow undertones well. Not sure how good this would look on someone with cool undertones. \nIn summary, as a primer, I love this product and totally recommend it to anyone with warm undertones in their skin color. with 4.5star. I use this as a primer for my eye shadow. I'm not sure that's what it's meant to be, but that's the way I use it and it's perfect! I've used many other products from many other brands as a primer, but this is by far my favorite! It goes on smoothly, it doesn't dry out in the jar before it runs out, it makes the shadow "stick" and last all day, and it doesn't cake up. Even though it comes in a small little jar, it lasts forever. I wouldn't wear it as my only eye makeup because it would be too shiny for me--it looks "wet" without some powder over it--but if you're going for that look, this would be a good product to buy. As far as the color goes, it's very warm and it matches my yellow undertones well. Not sure how good this would look on someone with cool undertones. nIn summary, as a primer, I love this product and totally recommend it to anyone with warm undertones in their skin color. This is the only crieme eye line that doesn’t smudge and lasts for 15 hours. I use the Anastasia #14 brow brush to apply the creamer eyeliner. It’s a very small, firm, slanted brush, for a fine line. Natalie has rated on date 12/05/18 as Lasts all day and eveningThis is the only crieme eye line that doesn’t smudge and lasts for 15 hours. I use the Anastasia #14 brow brush to apply the creamer eyeliner. It’s a very small, firm, slanted brush, for a fine line. with 4.5star. 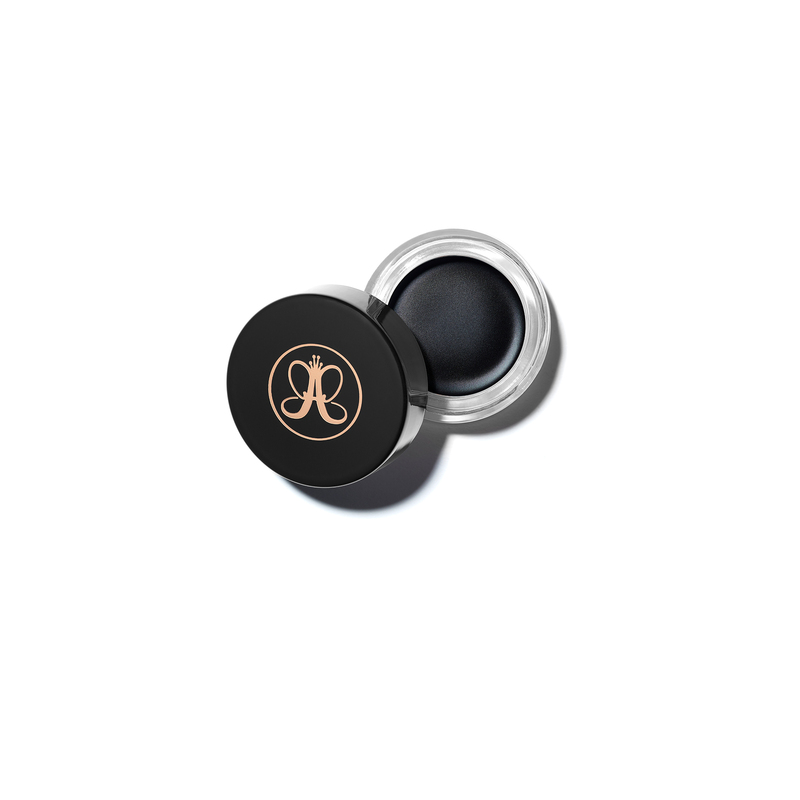 Anastasia Beverly Hills Waterproof Crème Color is a full-pigment cream color that provides crease-proof coverage and definition. 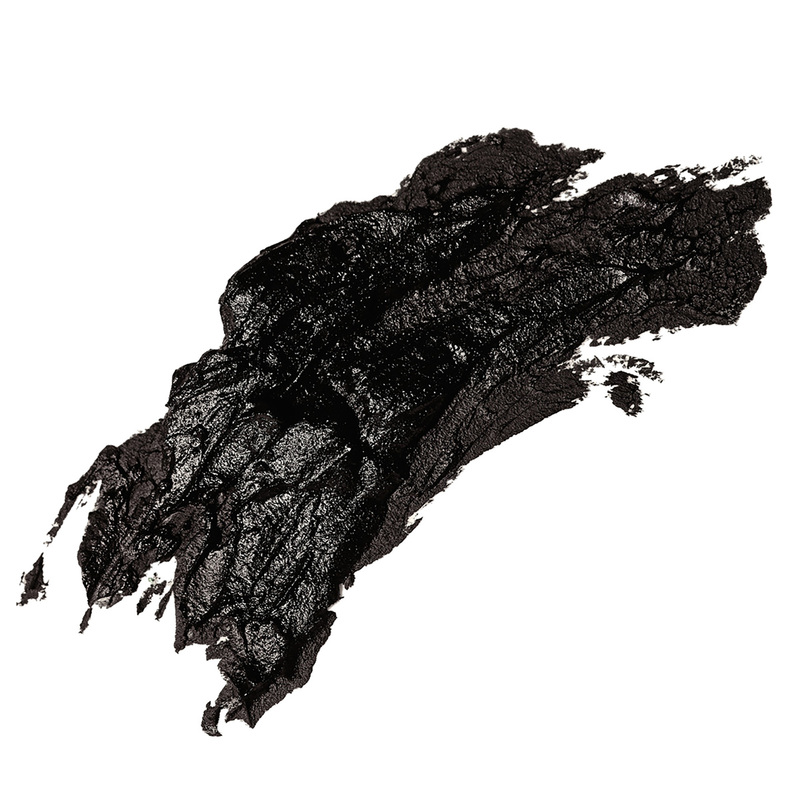 This long-lasting, waterproof formula is ideal for shadow or liner application. Using Brush 3, pick up a small amount of Waterproof Crème Color and apply along the lash line to create a precise liner look. For use as an eye shadow base, buff onto the lids using a synthetic eye shadow brush.